Andrew is an Investment Manager in the Origination Team specialising in the infrastructure and energy sector. He is responsible for identifying claims and developing structured funding solutions for all types of disputes, including adjudication, arbitration and litigation. Andrew’s focus on infrastructure and energy disputes enables Augusta to address the specific risks and commercial challenges faced by businesses operating in these sectors. 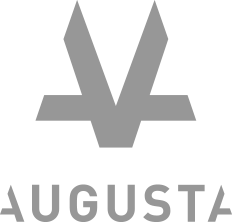 Prior to joining Augusta, Andrew worked in private practice at Ashurst and at leading Australian domestic firm, Henry Davis York. During this time, Andrew worked on various large-scale infrastructure and construction disputes, including multi-billion dollar mining and telecommunication developments. Andrew holds a Bachelor of Law (Hons) and Bachelor of Economics from the University of New South Wales. He is a solicitor admitted in New South Wales.